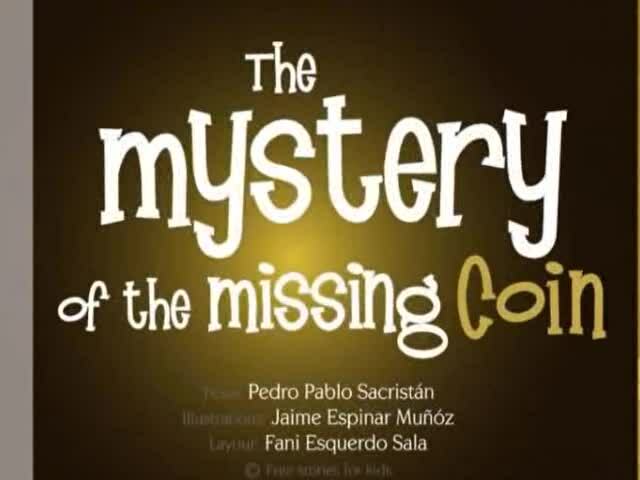 The Mystery of the Missing Coins. Short animated story narrated in American English. Once there was a magpie who realised that one of his most prized coins was missing. So he called the best detectives in the forest: the hare and the mouse. The mouse was a bit cleverer and more shrewd than the hare; so, following the clues and using his reasoning powers, soon led him to the great labyrinth of tunnels under the forest. On entering, he saw Mr. Mole, but the mouse was very shy, so he said nothing to the mole about why he was there, and he carried on looking for the missing coin. The hare was also a great detective, and, before long, he too arrived at the labyrinth. He was not a bit shy, and the first thing he did was go and ask the mole if he knew were the coin was. The mole was all too pleased to lead the hare to the coin. That coin had been bothering the mole for months, getting in the way of his tunnelling. So the hare took the coin and collected his reward. The mouse, who had been watching all this, learned a lot from it. From then on he would never allow shyness to undo all his good work. This approach soon turned him into the best detective in the forest.